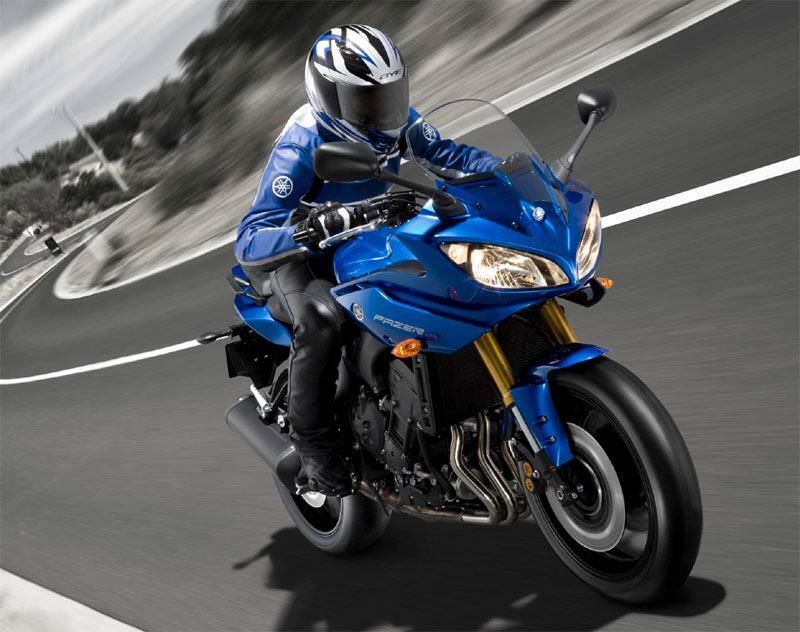 Yamaha’s Fazer range of bikes used to be all about hard-working, do it all, value for money bikes. One look at the today’s price for the new Fazer8 says otherwise when comparing it to the competition – and the fact there is the slightly bigger capacity but vastly superior FZ1 in Yamaha’s line up. But what you have to remember is the Fazer8 and naked FZ8 were developed for mainland Europe, where three-quarter litre naked bikes are extremely popular. Don’t get us wrong, the Fazer8 is a competent tool – it’s just that there are many more useful tools available. Given that the Fazer8 has the same ‘race’ inspired chassis of ally frame and swingarm for sporty riding as the FZ8, it’s a puzzle why Yamaha saw fit to prop both bikes with non-adjustable front suspension and preload-only at the rear. Yamaha’s answer is the greater majority of its extensive customers do not adjust suspension – this is no defence in our book. As it is the front is compliant bordering on soft, which is really noticeable with the Fazer8’s top half fairing when opening and closing the throttle but especially on the brakes. And there’s not a lot of feedback from the front Bridgestone tyre. The rear isn’t so bad. 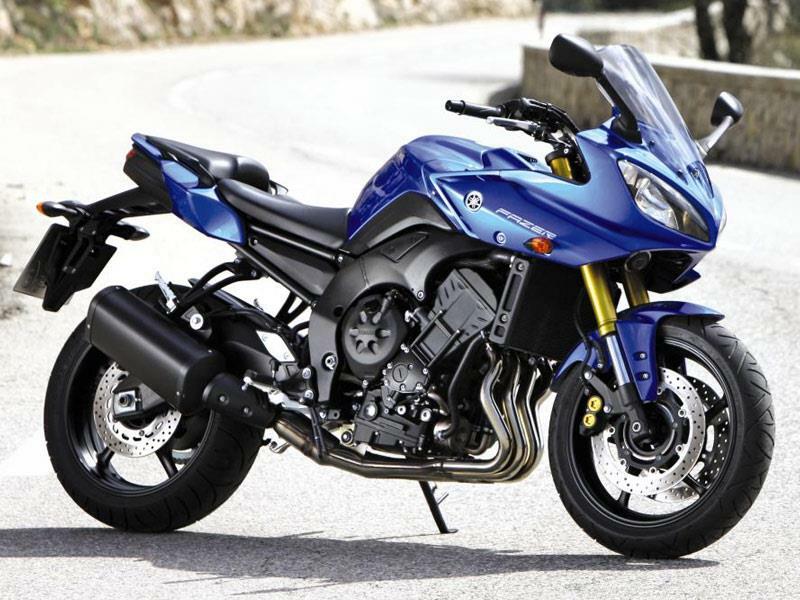 Suspension aside, the Fazer8 is endowed with an easy to ride nature that belies the FZ1-based chassis. It’s a happy rider who cuts through town traffic like a needle through tissue and the Fazer8 is a god tool for such use. It’s forte is fast flowing roads. The same can be applied to the naked FZ8. 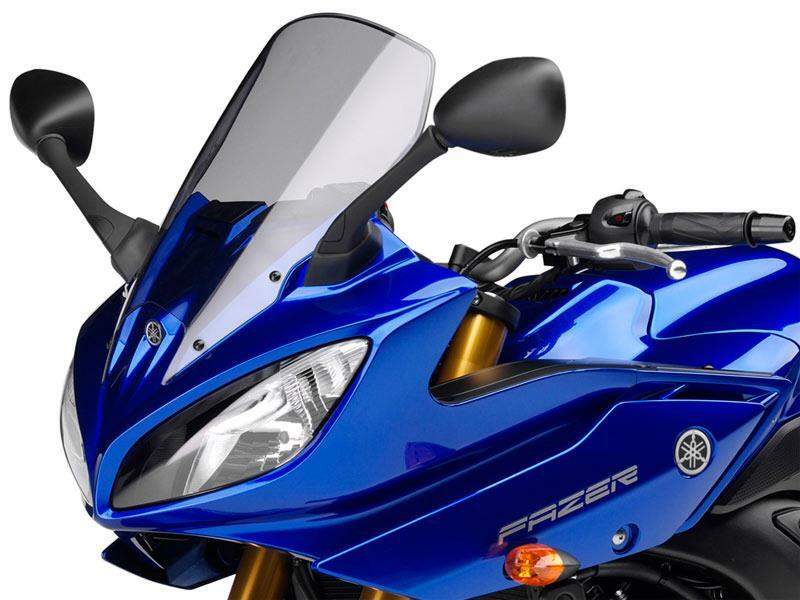 The Fazer8 shares crankcases with the FZ8, and both are derived from the 1000cc FZ1 but both smaller capacity bikes feature a lightened crankshaft for quicker engine response, and the cylinder bores are reduced in size for the capacity decrease. However, the same stroke length leaves the FZ8 with a wide band of easily accessible drive, underlined by faultless fuelling. A claimed 106bhp and 60ftlb of torque doesn’t sound much by today’s standards, but if you want more power then walk towards the 150bhp FZ1. On the other hand if you want a continuous smile, a civilised commuting tool and to keep your licence fairly healthy, walk back towards the Fazer8. Hmmm. Ok, cutting to the chase here. At £8999 the Fazer8 is overpriced. 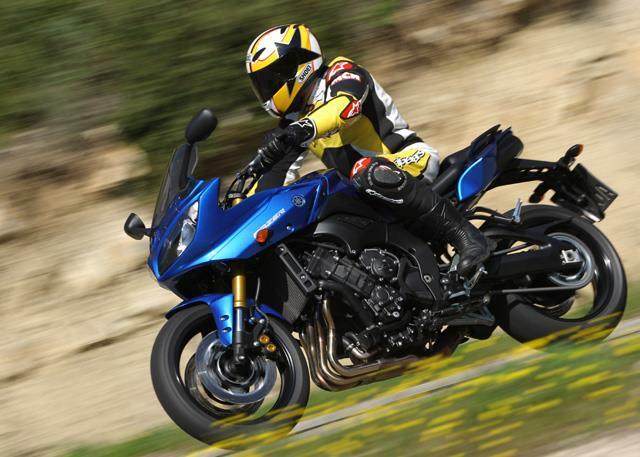 The evidence is the vast array of bikes that will match and exceed what the Fazer8 delivers and all for less money – Suzuki Bandit 1250 at £6099, Aprilia Shiver £6150, to name but a few. Find a Yamaha FZ8 for sale. The aluminium frame and swingarm are good to shout about down the pub – most of its competitors run with steel tube frames and box-section swingarms. The rest of the bike is fairly standard stuff, literally. It’s easy to say the Fazer8 and FZ8 are ‘parts bin’ specials because… erm, they are: FZ1 engine cases, FZ1 rear light, XJ front wheel, XJ6 headlight, FZ clocks (new background display though), ye olde R1 front brakes and so on. New technology comes with the length of the of inlet stacks 2 and 3 cylinders are long, 1 and 4 are shorter, again for improved midrange drive. Shock, horror the in-line four doesn’t feature an Exup exhaust valve. Instead the downpipes are narrow and the longest on any Yamaha to date in an attempt to get the same midrange push. The Fazer8 gets the obligatory half-fairing that does a damn fine job of making light work of prolonged high speed riding, which is particularly useful for commuting. The Fazer8 comes with ABS as standard. 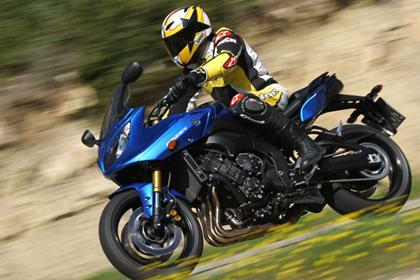 Compare and buy parts for the Yamaha FZ8 in the MCN Shop. 4 owners have reviewed their YAMAHA FAZER 8 (2010-on) and rated it in a number of areas. Read what they have to say and what they like and dislike about the bike below. It’s comfy but soft and unadjustable apart from preload at the rear. If you start to work it at higher speeds it soon becomes a bit floppy. A lovely engine, have to remember it’s a four, so needs revs but it’s very willing. Great fun to thrash and yet silky round town. I just change the oil myself. It’s a breeze. All you need. Abs as standard. Second hand, small dealer, paid £4,300 for a minter with 4K miles. Totally happy. Done about 15000 miles now and only changed tyres. Still on original chain and sprocket and not had to change the pads yet. This is my fourth Yamaha (125's/ Scooter, and XJ6) and never had any issues.